It’s Memorial Day weekend, the traditional start to summer for many. While it’s a great time to get together for family cook-outs and a swim in the pool, Memorial Day is really about so much more than that. It’s a time to remember all the servicemen who have died. 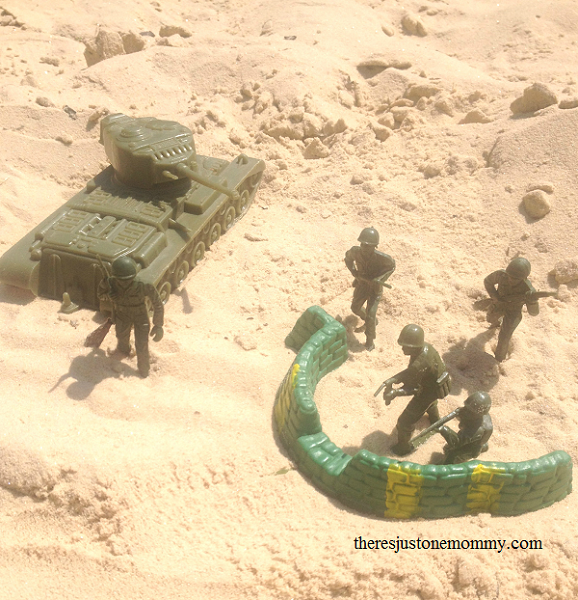 This week I pulled out some of my husband’s old army men to help explain that sacrifice to the kids. So, I skipped using the fallen soldiers he had in his collection, but I did choose to include the soldier carrying the stretcher for the wounded. He was able to put soldiers on it and pull them around, but in his world, the soldiers always came back. That’s the beauty of childhood. He may not grasp the finality of a soldier dying; honestly, I don’t want him to just yet. I want him to hang on to that childhood innocence a little longer. 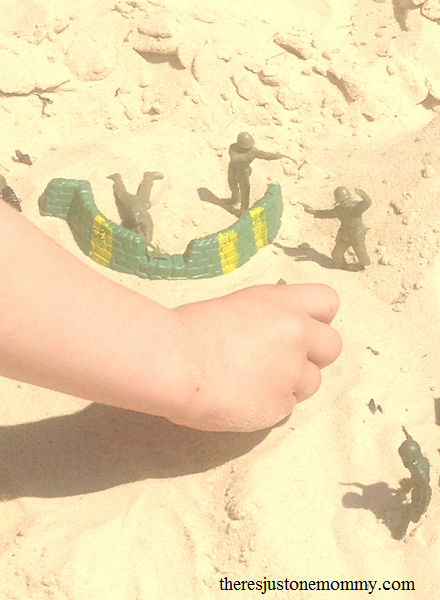 But getting the soldiers out, and letting him recreate battles in his small world was a good introduction to what Memorial Day really is about. Looking for other patriotic ideas? Check out our patriotic sensory play and American flag craft. I’ve found it difficult to explain to my 6 year old too much about what Memorial Day is about. I love how you used a hands-on, age-appropriate way to teach your son the importance of this holiday! Great idea to teach about military service! Thanks for linking up at the Thoughtful Spot! 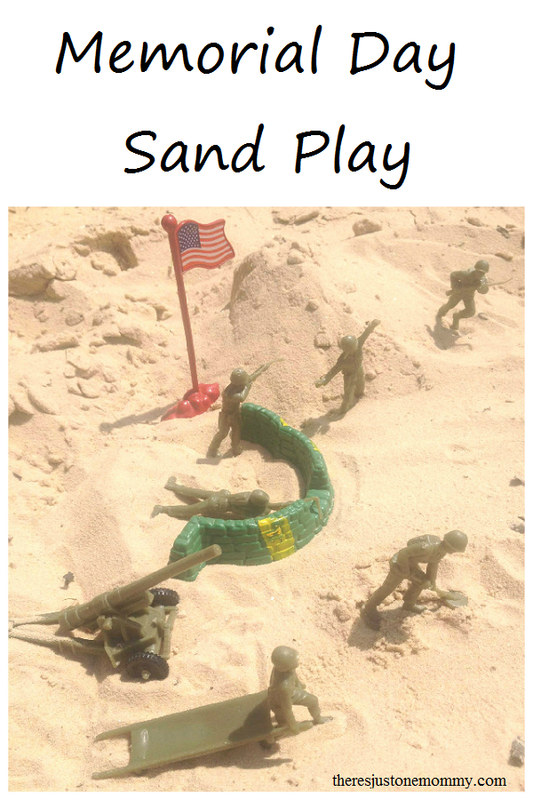 What a wonderful way to spend a day, in sandy themed play!